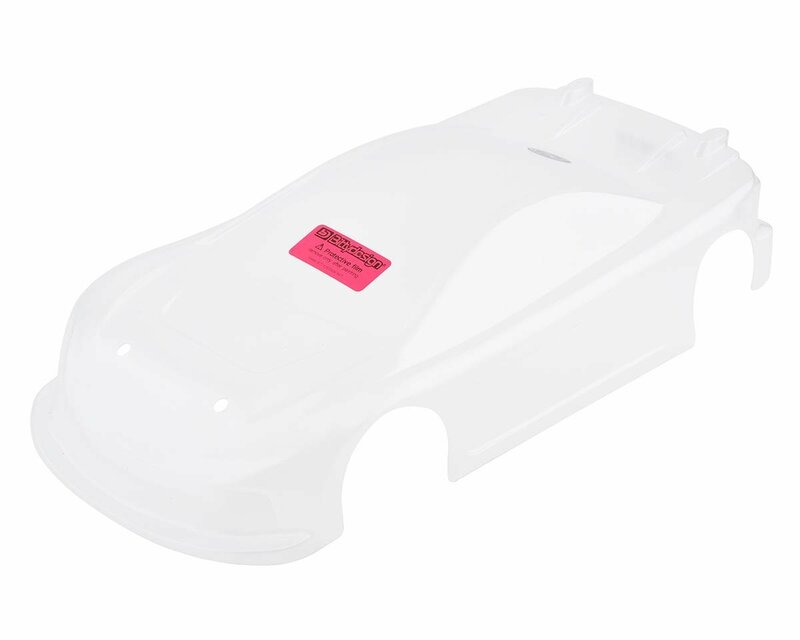 This is the Bittydesign 190mm JP8 1/10 Touring Car Body in Clear Lexan, pre-trimmed specifically for the Team Associated TC 7.2 and 7.1 Touring Car models. The JP8 includes all of the Bittydesign experience gained in over 10 years of presence on the racetrack, with the final version the result of may requested changes to reach the perfect shape. 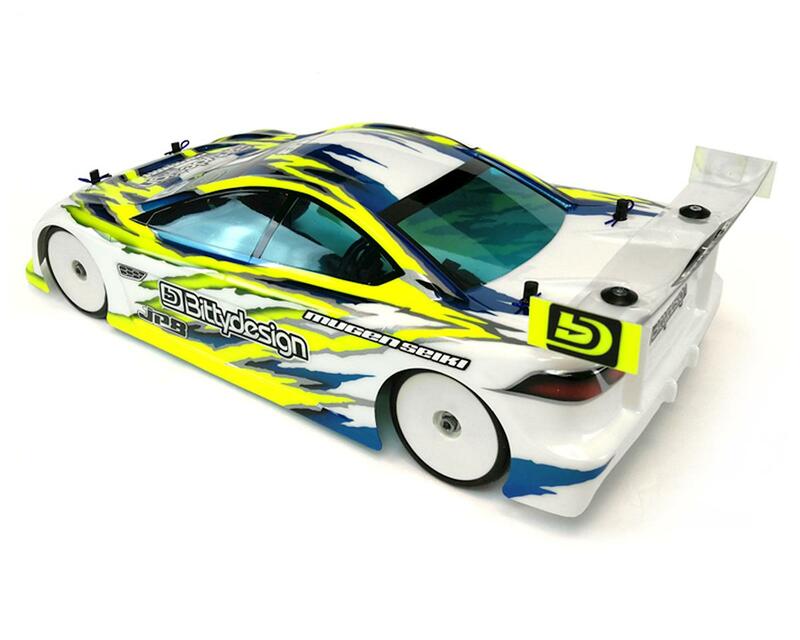 The result: an ultra downforce design to generate impressive steering as well an excellent rear stability; very easy to push the car at limit, the driving feeling is great both on indoor and outdoors layouts. 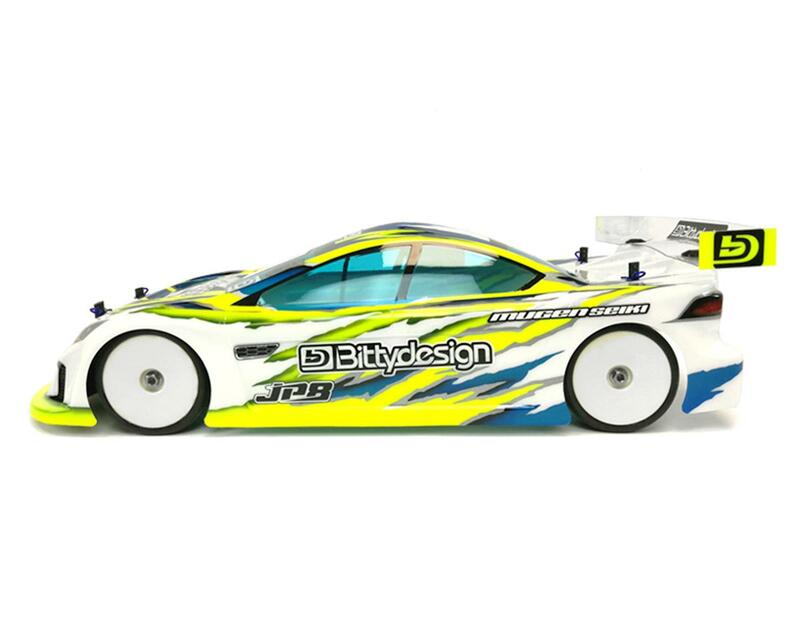 The JP8 project is born with one main target: create an all ultra downforce body shell that can be the fastest, always. No matter what final shape and lines the body will have, how it will look, the focus during the designing stage has been pure performance. 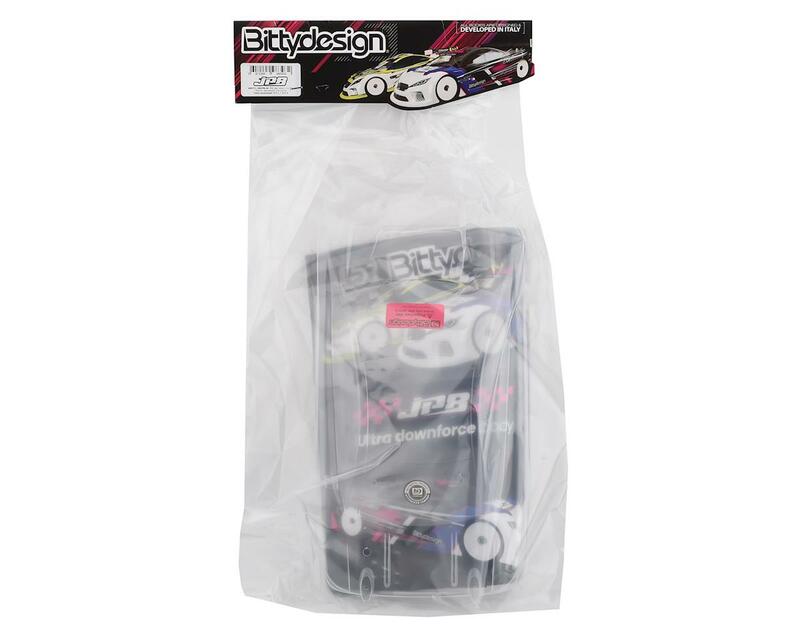 Thanks to an excellent production process, which guarantees a high homogeneity of the material in any area of the body, Bittydesign has reached a good compromise between weight and durability of the product. 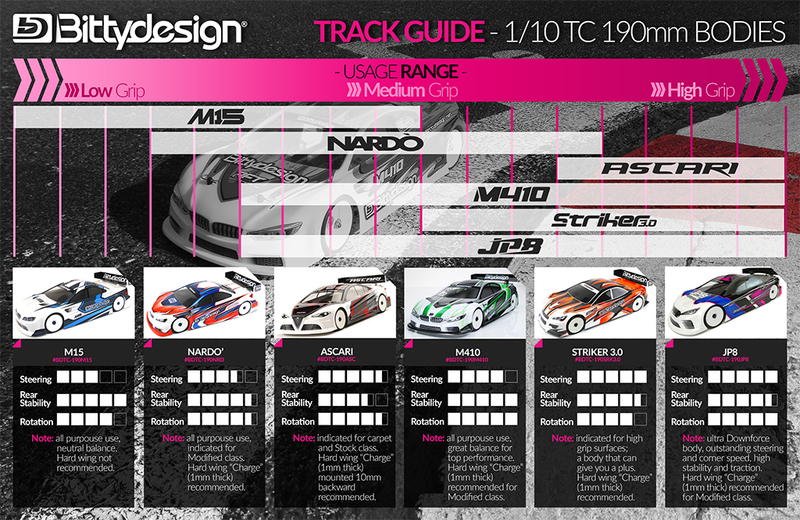 Several track tests have revealed excellent impact resistance, giving the JP8's extremely longevity. 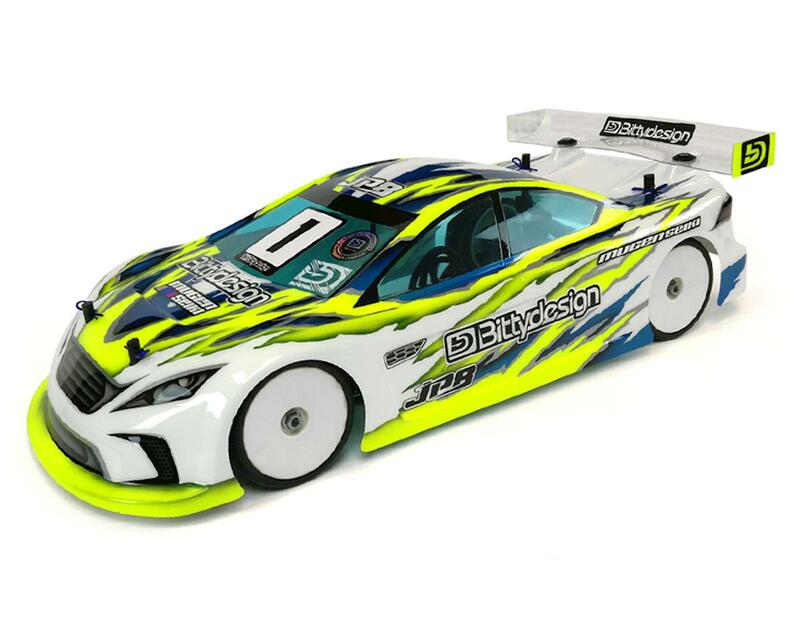 Tested for several months both indoor and even outdoor on different types of carpet and tarmac, the JP8 body shell represents a new reality for drivers all around the world who race at top levels and always want to obtain the best result with their models.